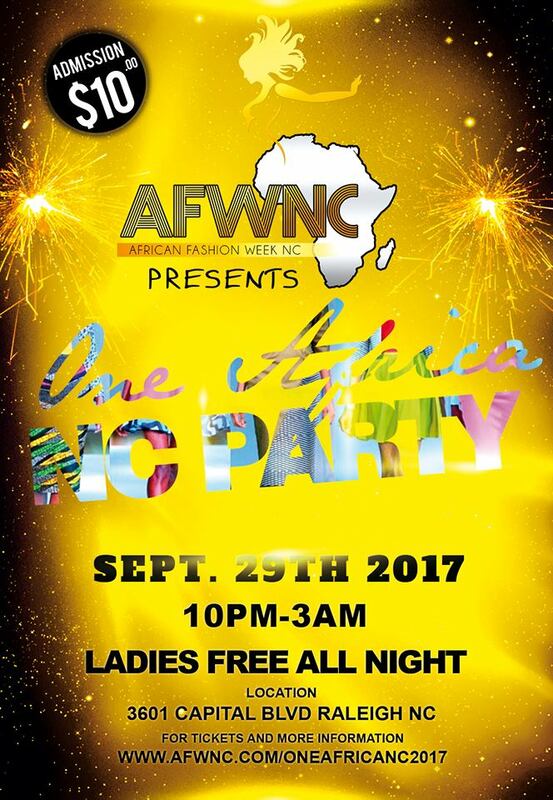 Come kick-start your weekend with fashion presented by African Fashion Week NC in the event of the fall, One Africa NC Party. Come check out the fashion show. There will be a social mixer with happy hour after the event, with an after-party to get the weekend started. Get your tickets early before they run out.